In 2017, Parham graduated from college feeling totally lost. He wasn’t sure what he wanted to do with his life and he didn’t know where to get started. He ended up landing a job in sales at a company called Picatic but quickly found that it wasn’t for him. He wanted more out of his job – more responsibility, more freedom, and more money. He started the same way most of us do, applying online and hitting up the few contacts he had to see if any opportunities were available. After a few months of lackluster results, Parham decided to take his search to the next level. He wanted to uncover the strategies that people were using to get real results and land jobs they love. That’s when he found Cultivated Culture. Austin: Hey, everyone. Welcome back to another CC Success Story. Here I have Parham Albadvi with me. Parham, thank you so much for joining me, man. Parham: Austin, thanks so much for having me, man. It’s a pleasure. Austin: You got it. I’m super excited to have you here and we’re going to walk through your journey, going from a job you weren’t totally satisfied with, right? 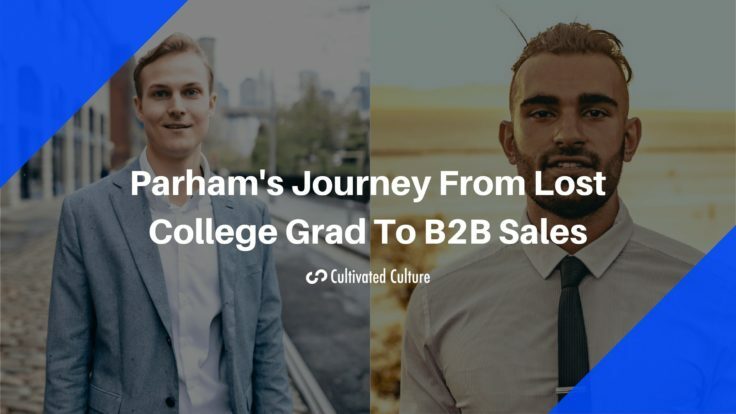 The the ups and downs of the job search to eventually landing a position in sales as a B2B video specialist at Vidyard. Parham: Yes. Absolutely. First of all I wanted to thank you for having me on this show. You’ve been such a great resource to me throughout the whole job hunting process and it’s great to finally be a success story on your show. Honestly, the whole process was like a rollercoaster ride. It had a lot lows and a lot of ups, such as landing this role. It all honestly started with graduating from University and just being very lost as to what I wanted to do, I had some experiences with tech scene, doing marketing and sales, but once I graduated, I was very confused after which kind of path I wanted to go on. Ultimately, I chose sales, but that wasn’t enough. The whole job hunting process is such a behemoth, understanding it was really critical at that point. I was very desperate for a role, just because I had recently graduated. I just aimlessly applied for jobs here and there. I went on AngelList, I went on LinkedIn. I didn’t have much connection, just reached up a couple connections that I had. Nothing came of it. Finally, I landed the role with Picatic which is an event registration platform doing business development for them. Ultimately, my goal with that role was that, “Okay. It’s not a company that I’m totally psyched about. It’s not my dream job, but I want to achieve tangible results, something that I can truly showcase on my resume while at the same time, educating myself on the job hunting process and what it takes to really land your dream job.” Which is– throughout that process, stumbled upon your content and your stuff and it really helped me to land this role in Vidyard today. Austin: Awesome. I appreciate you walking us through. Let’s take it all the way back here. You mentioned you were in college, what was your major? Austin: Which is, I feel like what most people have. They have one thing, and they decided to break in to tech and it’s like all bets are off. That’s awesome. Your first job, how did you end up landing that one? Was it through just applying online, going through the usual channels? Tell us a little bit more about that. Parham: My first job in the tech scene or first job coming out of college? Austin: Let’s go first job in tech. Parham: First job in tech was actually just through connection. Like you mentioned always, through referrals, it’s always the most powerful way to land a role. Started off with an internship at Lazymeal, which is a online food ordering platform, here, based in Vancouver. After three months of taking care of their social media, they offered me more of a stable marketing role and then slowly drifted into sales because school started and I was in the UVC area, which is the University here at Vancouver. Those were more territory based, it was door-to-door sales, so it really really helped me get the knowledge I needed to really get used to the whole sales process. Ultimately I stopped doing that just because school was getting more and more serious. I hadn’t really worked in tech up until Picatic, which was after graduation. Austin: You graduate, you make your way into tech, then you have this job at Picatic, why did you want to move on? What was the impetus behind that? Was it your boss or are you just ready for a change, make more money, what was the motivation to start looking for something else? Parham: Great question. Honestly, I think it was a combination of things. Honestly, when I listen to just people– the thought leaders that I listen to, they always mention how in your 20s is the time to really invest in your skills. To really work around people who inspire you, who make you better, who give you constructive feedback for you to really constantly improve and iterate. I just felt like I wasn’t really getting that at Picatic. It was a smaller company and they didn’t have much experience in the business development world, they didn’t have any people who had done it before. I just felt like I had to reach out externally to other people outside of Picatic to learn. I just felt if I wanted to go from here to here, I wouldn’t get there fast enough. That was really number one. Number two was just real career growth. I just felt that company wasn’t offering that as much as I would like to. The third reason, yes, was the salary. Vancouver is a really really expensive city, if you come out here, you’ll feel definitely know. New York too, definitely expensive. I just felt it wasn’t the one, it wasn’t the one for me. I really tried to go after the one for me and thankfully, that really happened with this. Austin: I love this. You’re feeling you’re not getting the help you need, the support you need to grow. Obviously, salary, the type of work, et cetera. You think, “Okay. It’s time to expand.” What was the first thing you did? You’re ready to look for a new job, you’re thinking it’s time to make the next move. What was your immediate next step? Did you start applying for jobs online? Did you start hitting people up? How did you initially approach the job search process? Parham: Right. I think initially, it was just looking for jobs on LinkedIn and Angel and just really applying aimlessly. Again, not having a specific goal or target of researching the company being, “Okay. At least it’s something that I’m passionate about. Let’s see who works there,” Researching the people who work there, I wasn’t doing any of that. It was just like seeing a job, being like, “Okay. I meet some of the requirements for the job. Let’s just apply. I want to improve in the job hunting process” Because my mentality was, even if I get an interview, that will still improve my interview process. The whole phone interview, and going through it all, but it just took a lot of my energy. I felt I wasn’t achieving the results because I wasn’t being laser focused on the company that I wanted to work for. Initially, it was just really aimlessly applying and not getting as much result. 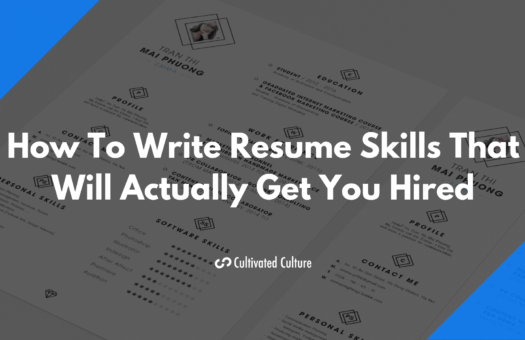 Until I obviously stumbled upon your stuff and learned more about how to go about the job hunting process more strategically. Austin: Awesome. You know I love that. You found my stuff, you decided, “Okay. What I’m doing right now isn’t working.” Applying for tons of jobs online and not getting the results I want. How did you shift? After reading some of the material, how did your strategy shift? What did you start focusing on instead? Parham: To be honest with you, I had the whole referral thing in mind. I always knew that referrals were the most powerful way to land a job, but I just didn’t know that you could do that with any company and anyone. Initially, I remember I saw a LinkedIn job posting for a BDR role, and I was like, “That’s cool. I do know that one of my alumni fraternity brother worked for LinkedIn in the San Francisco office. I’ll just reach out to him and just tell him that I’m interested and jump on the zoom call with him. I did exactly that. We chatted and he actually referred me for the position in Toronto, I applied. I didn’t get it, but that really opened the possibilities for me. I was like, “Wow. 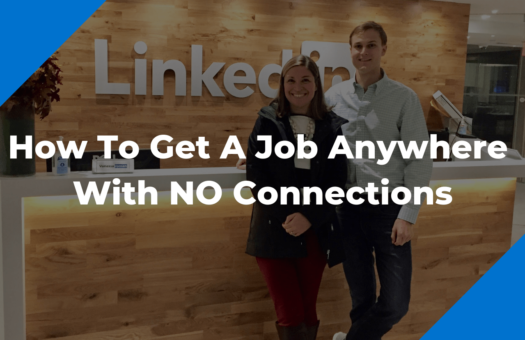 If I can really do that with one person at LinkedIn who works there and he can refer me and I can apply through that, I can do that for any company.” Just understanding that the possibilities are endless by tapping into other people working at other companies and interviewing– You know this better than I do, it’s a two-way street. You want to learn about them as much as they want to learn about you. It’s just an opportunity for you to really understand their challenges and their company’s roadmap in a sense, then you going on about it more strategically. Austin: For sure. When you started reaching out to these companies or these people rather, you had that realization of, “I can really do this anywhere. I just need to pick the company and then find the person.” Right? How did you go through that process? Did you keep a spreadsheet of the contacts? Did you reach out to them via email? How did you get in touch with these folks and what do you think worked the best when it came to actually setting up the conversations with some of these people that you might not have ever met before. Not really had a connection with in the past? Parham: Totally. In terms of organization, I had a Trello board, a job hunting Trello board. It was super super helpful. I just wrote down the list of companies I wanted to reach out to, the people who worked at the company. In the shower I thought of a good question to ask them, I’d be like, “Let’s put it in the Trello board.” Everything was there. It was a really, really solid Trello board. Those who are looking for a job, I’d be happy to share that with them, just to see how it looks like. In terms of reaching out to them, honestly, I would find this common points of interest on their LinkedIn. Let’s say if they were doing BDR, I would say that, “Hey. I saw the job. I have experience in this field. I’m really interested in learning more.” The subject line would be, “Looking for advice from the best.” That was my way of reaching out to them and grabbing their attention. I would be like, “If you have 15 minutes, I’d love to chat with you.” Similar to the template that you have on CC as well. Usually people were, I would say, six out of ten people were open to chatting. Obviously you have to fill-out that funnel, so that in case some people don’t reach out, you do have other people that you’d like to talk to. Yes, it was usually just setting up a calendar and then chatting with them whenever the date was set. Austin: Awesome. It sounds like most your stuff was done over the phone. Did you do any in person or was this mostly really over Skype, over the Internet, over the phone? Parham: It was mostly over Skype or over the phone. I tried my best to actually get them over Skype, because I knew that that way I could build rapport with them. I would lie to them at some cases, be like, “Yes. My phone network is really low, I’d love to just do a Skype call with you.” That we can actually get the one-on-one person and I can learn more about them. Mostly, the majority of them were done over Skype or over phone call. Austin: Awesome. That’s great. Six out of ten people is solid, that’s about the similar rates to what I saw. It’s great that you were able to build these over the phone. A big question a lot of people have who hear the strategy is, “Do I have to get them in person? Is this possible to do over the phone?” Like you saw, it totally is. I love that. When you did get on the phone calls with these people, what did you talk about? How did you tee up the conversation? How did you start it off, and then how did you work your way into finding out more about challenges, initiatives, some sort of angle or information that you could add value against. What’s your strategy? Parham: Really, really great question. Honestly, at first, I think there’s just certain principles that you have to follow in any conversation. One of them, the major one of them is just be genuinely curious at what they do. I always get that in mind. It’s about them, it’s not about you. You want to just learn about their challenges and what they’re working on. Usually, the first five minutes of the conversation just consisted of a small talk, what they’re working on, if they have any travel plans. Obviously, you bring this up in your email, so you just initiate the conversation, don’t wait for them to bring things up and be proactive about it. One other question that I would like to ask them is, this actually works too if– “What are the critical principles of someone being successful in this role?” If they were previously in that role. Let’s say if they were a senior business development, I would ask them, “If you were in it, when you got hired in the BDR role, if you could go back, what would you do differently?” I just wanted to learn more about the role itself and have them talk about themselves and their experience. Going back to just being genuinely curios, I think that’s huge. “How can I learn more about them and also, how can I add value against exactly what they’re doing? How can I help them achieve the goals they mentioned or overcome the challenges?” If you take that mindset and bring it into any of these conversations– I like to think about it personally as building a friend. I’m still friends or connected with a lot of people that I met through this process. I have just continued to build those relationships and they’ve come in handy, maybe not for me directly, because I haven’t looked for a job since, but a lot of other people in the community. These relationships are going to benefit you for the long-term. If you’re thinking about it just like, “Hey. I need to have this conversation so I can get a job and then I’ll never talk to this person again.” It’s not going to work, because your head is not in the right place, you’re not focused on the right stuff. I love what you mentioned there. Next, after you got the– go ahead. Parham: No, totally. I agree. I think it’s just coming from a place of abundance and understanding that, “If this conversation doesn’t even land to a job, I’m still gaining a friend. I’m still finding a friend and I’m still learning something new about a company that I would like to potentially work for and about this person who is working on so many cool stuff.” I think just approaching the conversation from a human perspective, just like a normal conversation you would have with one of your friends, is the most valuable thing that I learned. Just making a conversation, don’t make it too too serious. It’s always to go on tangent sometimes too, just to have that creative flow in the conversation as well. Austin: Yes. Definitely. I think the warm up period is great too. You don’t necessarily dive right into it, you’re not reading off a script. You talk about them, talk about what they did that weekend or upcoming plans. Just the casual stuff that brings down that professional rigid barrier and allows you to have more of a personal conversation, more casual. I love that. After you spoke to these people, after you got that information around challenges, goals, et cetera, what did you do next? Did you go out and actually build some projects or did you send an email and offer them some solutions? What were the next steps after some of these conversations? Parham: You mentioned that in your blog as well. I found that in some cases, it really wasn’t applicable. Their challenges were very, very specific and I didn’t have much info on it to be offering potential solutions and pulling the consultant card. In some cases, for instance, I remember applying for a role at Shopify– not applying, actually speaking to someone who was working there and he referred me. He was just, “Yes man, if you want, I can just send you a link and just apply through the role, through the link that I sent you.” That was just the conversation we were having and in the end of it, I didn’t ask for it. I just told him that, “Hey. There’s a role posted that I’m really interested, that was why I called to just learn more about you and the company as a whole.” He offered to send me the link and I applied through that. Sometimes, it works out that way. Other times, they didn’t do that. I just learned more about the company and what they were doing and the challenges that the whole team was facing. In those cases, it would really help because when I applied for the role– For instance, when I applied for [sic] Flexport, I know we actually had a conversation back in January, December about Flexport too, which I also got rejected for. I remember going into the interview, I just had information about some of the challenges the company was facing. Just more in-depth knowledge about the role, just because I have spoken to a sales analyst beforehand. That really helped, but in cases of adding value for the challenge, I think it just has to be the right– you have to have a good understanding of the challenge in order to offer value. Austin: Definitely. The next step that you took is great too. You’re not always going to get exactly what you need from the person that you speak to. You have to do your own research. What did that look like for you? What specific tools or resources or processes did you use to go ahead and research some of these companies? Parham: Just learning about the company. I think on Crunchbase, on Angel, talking to people, I think, was the most valuable. I remember when I applied for the role at Flexport, I was in San Francisco, I practiced all the questions, I knew off the top of my head. I remember you specifically told me to stage the responses so that it goes into your long-term memory. I had most of the questions that I knew they were going to ask me. Even though they asked a lot of other behavioral questions that totally threw me off-guard, but still really valuable to have those as well, but I remember being in San Francisco, and literally standing by downstairs at the office, waiting for people to walk out from the Flexport office and just initiating conversations. I saw someone with a Flexport bag and I approached him, I’m like, “Hey. I realize you have this bag. I’m really interested in learning about the company.” We had a ten-minute conversation. I learned something new about the company, challenges, what would they say would be the thing that prevented them from taking it from where they are to some place a lot higher. I think people are the most valuable, there’s only so much you can find on the website. Obviously, announcements, sometimes, on the news could be valuable as well. If I were to break it down, I would say, company website, people most importantly, and then just other articles on the web. Austin: I love that you sat outside the office and chased people down. That’s too awesome right there. That’s awesome. That’s stepping out of your comfort zone for sure, and it’s sweet. For Vidyard, what of these steps that you’ve laid out for us, led to the job there? I assume that you reached out to people there. Did you research the company? How did you get the interview? Was it through a referral? Just take us through that real quick. 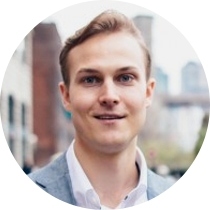 Parham: With Vidyard, like I said, I came back from San Francisco, I applied for Flexport which was a company I was also really passionate about, but got rejected from, but after that I felt like I had nothing to lose anymore. I was like, “Okay. I tried so hard for this interview and it didn’t work out, but I have nothing else to lose. I feel like I’m at my lowest low right now, but the only way right now is going up.” The job for the BDR role at Vidyard came up, and I hadn’t heard about Vidyard before, but I’ve done my research on the company once I heard about the role. The first thing I actually did was just reach out to someone who was in a BDR role in the Vancouver office. They’re an Ontario based company, but they have recently expanded their offices to Vancouver. I just saw on the product and everything really, really interesting. The first thing I did was reach out to someone in the BRD role and I said I’d call with them and like I said, we just had a conversation. Very, very casual at first, and then jumped into just some of the challenges she’s facing in the role, what she loves about working there or what she doesn’t like about working there. Just questions that I thought would be valuable to me, about the whole interview process. I had actually reached up the BDR manager as well, but since I applied for the role, she canceled our meeting because we were going to have an interview face to face. That was interesting to see how people are so willing to have meetings with you, but obviously, once the interview worked out, it was just better to have a face to face rather than on phone. Austin: Totally. That’s awesome. Following the same process, reaching out, getting in touch with people, I totally agree that the people first approach is the way to go. That can happen, right? Somebody’s into having the interview with you or the informational, but then you actually get the interview, then it turns into a conflict of interest so they have to bounce back, but that’s awesome. 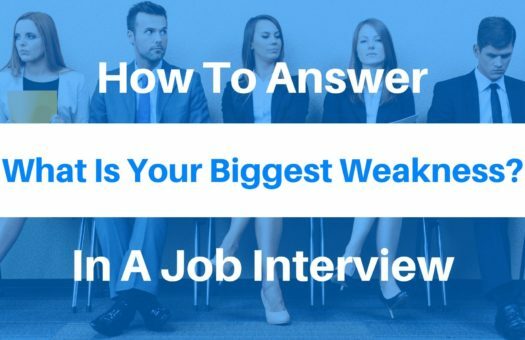 How did the interview process go for you? What did you do to prepare and was there anything that threw you for a loop? Did they make you do a presentation or a case study or anything like that? Parham: I learned my lesson, and they say everything happens for a reason, I remember I applied for Flexport and even though I had my responses down, I felt like one part of the process that I was lacking was the case study. I just wasn’t very great at the case study at Flexport, and it was done on the spot, and it was challenging. It’s really challenging and I felt like that was one of the reasons why they didn’t hire me. Besides the fact that I was Canadian and it was a role in the state. That was also another reason, but this specific time, they sent the case study information beforehand. I remember talking to the recruiting manager on, let’s say a Tuesday, I think it was actually Wednesday, and then having the interview Thursday morning. It was like one day difference. 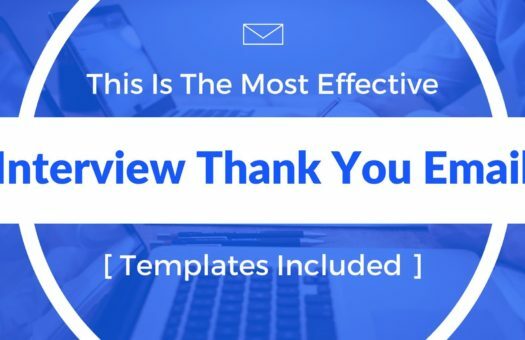 I remember she sent in the case study and since it’s a video platform, the case study was basically, how would you reach out to the potential client, a prospect? Basically draft the email and send it to us. Since it was a video platform, I thought that the best way to go on about this was actually create a video. Use their own software to create a video and attach it in the email. Just really again, going back to understanding the context, understanding their product, having a good understanding of what they do, so that you can really frame your email and everything to that specific to them. I did that, and I identified another company that I would potentially reach out to. It was actually Flexport. When I went into the interview they mentioned that it was really great because they, first of all, it was a software company, a B2B company, that is their buyer persona and also, I created a video that really matches well with the way their own BRDs reach out to prospect. Austin: Awesome. Sweet. I love it. You get to the final round, they extend the offer, did you negotiate salary at all or did you just accept what they gave you? Parham: I did negotiate salaries, but they mentioned that they had recently upped the salary, so they weren’t willing to extend it. I just felt like there were so many other benefits coming with it. We have free lunches three times a week, and there’s several tiers to the whole BDR process, that you can increase your salary in a matter of three months, tier I, tier II, tier III. I thought that, “I will go in there, show tangible results” and I obviously communicated that I wanted to be a top performing BDR at their company and I want to grow as fast as possible. I think it’s just a matter of timing until I up my salary. I think we both agree that talking to people, reaching out to people is where it’s at. Wrapping up here, what’s your number one piece of advice for people who are out there in the job search and trying to make it happen? Trying to replicate the same results that you recently saw. When I followed up with an email and I said, “Hey, thank you.” During our conversation I was like, “I took your feedback into consideration and I just revised the case study.” Then in the end, I answered, “PS, the restaurant you mentioned, I checked out some of the Yelp photos. Loved it, would love to go visit.” Just a really personal touch to our conversation that brought it back to, “Hey. I’m human.” Honestly, I think it’s constantly just looking things through their own lens and seeing how you can constantly add value to them. That’s one of the biggest things I learned. Austin: Sweet. It goes back to what you said, right? It’s about them, not you. When you start taking that approach, start taking that mindset, that’s where you’re really going to see tons of results. Parham, thank you so much man for stopping by. I really appreciate it, for sharing all the knowledge and we will talk to you soon. Take care. Parham: Would love to. Have a great one Austin, thanks for having me on the show, man.